My all time favorite Christmas book as a child was How the Grinch Stole Christmas. I don’t know why, but it sure made my heart happy when the Grinch discovered the true meaning of Christmas at the end of the story. And in wonderful Dr. Seuss fashion, it all happened within a rhyming story. 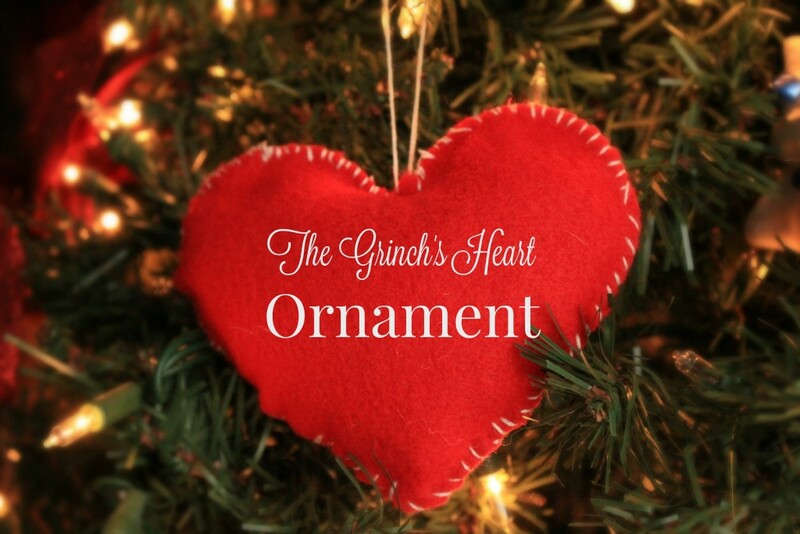 Now I’ve shared my love Mr. Grinch with my children so naturally, as part of 10 days of a kid made Christmas we decided to make the Grinch’s Heart felt Christmas Ornaments. To make this ornament my children got to work on their fine motor skills and the youngest, who is five, learned a new skill; sewing! I love when I can tie in real life practice with a fun craft! Start by preparing your materials. Cut your felt pieces into quarters. Place two pieces together and cut out a heart shape. You can print out a template for this or just use the fold and cut method. Cut a length of embroidery thread approximately 20″ long. I split my thread in half so that there is only three strands at one time. Loop one end through the embroidery needle and knot the other end. 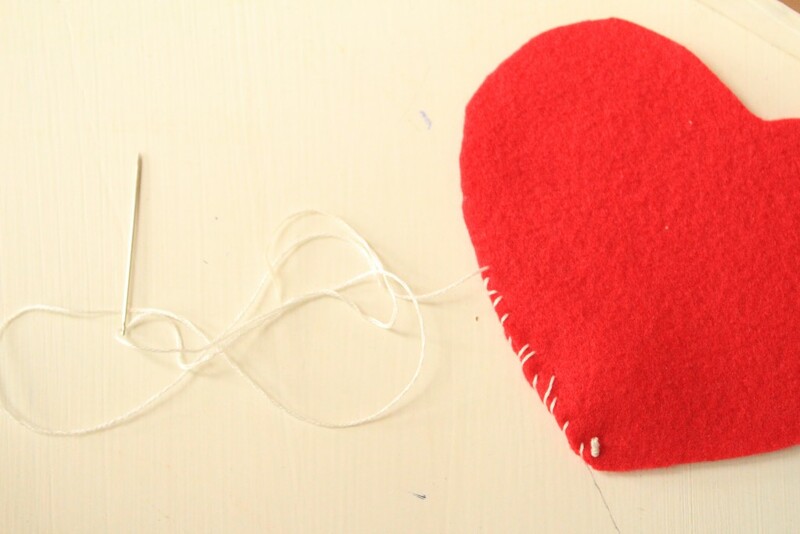 Place two pieces of heart together and start your sewing on one side. We are using what is called a whip stitch to sew up the heart. You place the needle through the fabric on one side only, then whip it around, and place it through again. Here you can see my daughter going through the back of the fabric each time and then pulling the thread all the way through to start again. Continue sewing your hear all the way around but stopping when you have about an inch left to go. Stuff you heart with your polyfiber and then finish sewing completely closed. 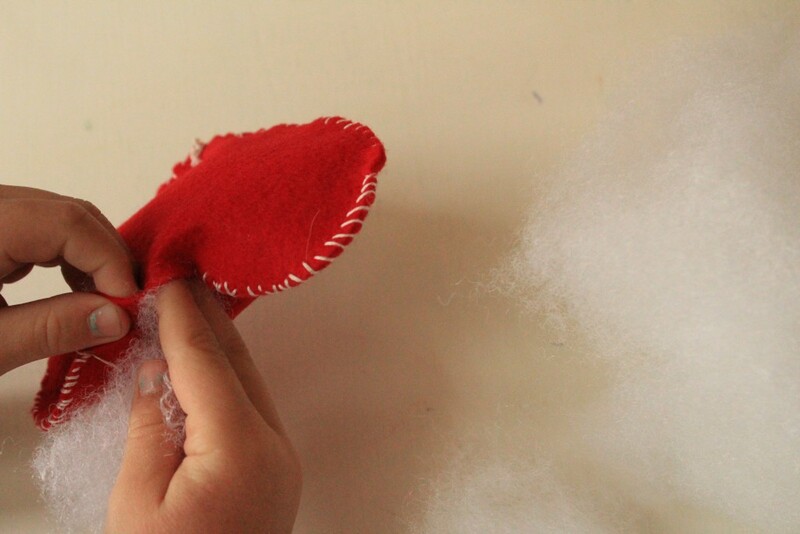 Once you have stuffed and completed the sewing, add a piece of tread to the top to create a hanger for you ornament. I just love how much effort my children put into making these! The pictures do not show a perfectly stitched ornament, they show a child learning and creating and that means so much more. 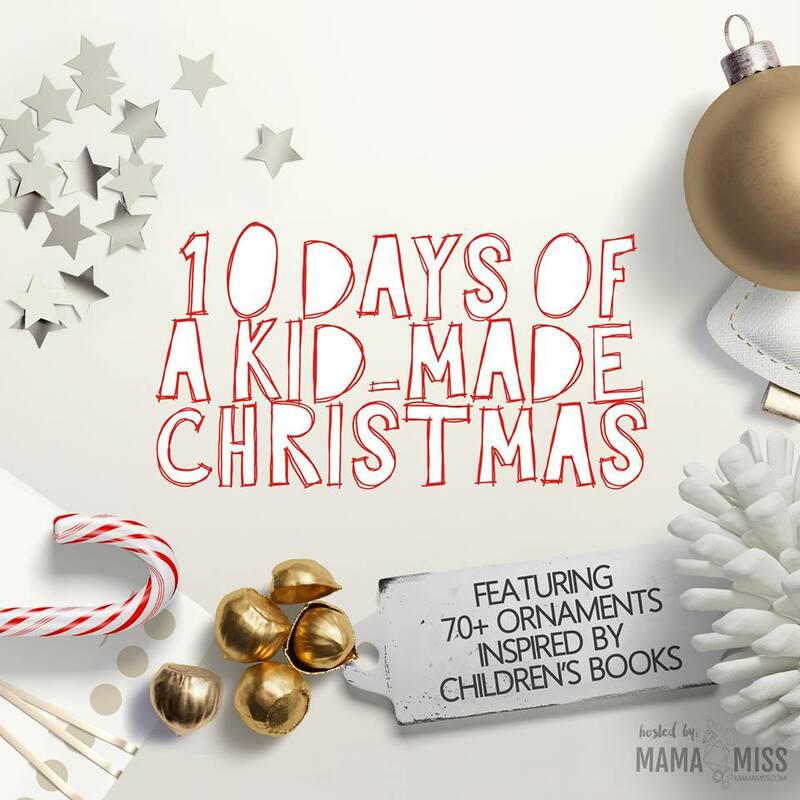 If you are wanting more book-inspired and kid made ornament ideas we have 70+ for you! This is such a wonderful sewing project for children! 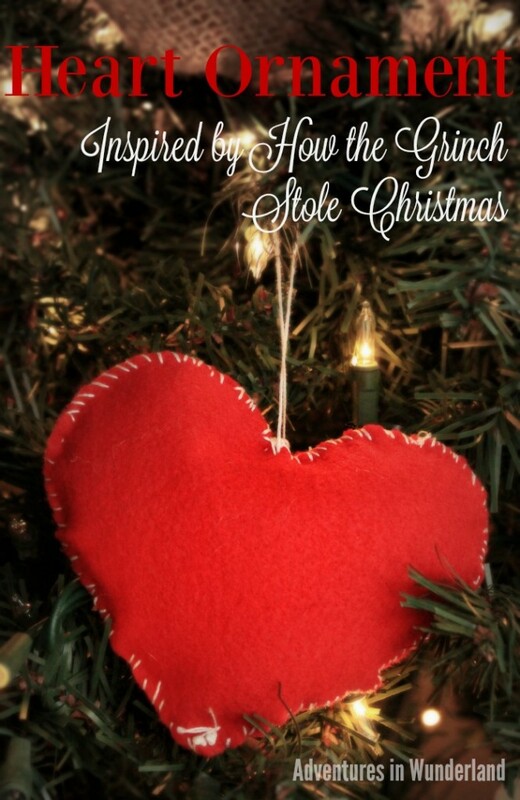 How the Grinch Stole Christmas is a great classic holiday book. 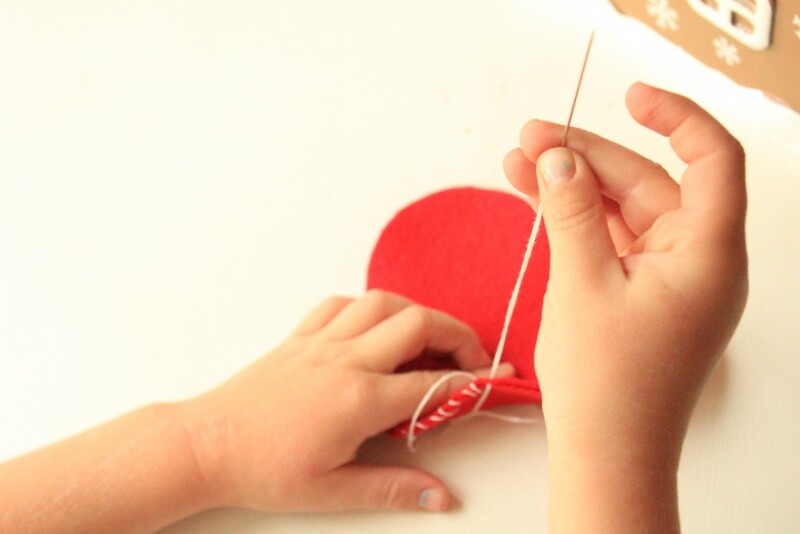 Your heart ornament is a perfect companion craft for the book. Such a nice idea. Children need opportunities to sew and be successful and this is easy enough and engaging enough they will enjoy this project. Thank you! Sewing is a great skill to learn!! I can't wait to start this with V!!! Adorable!! 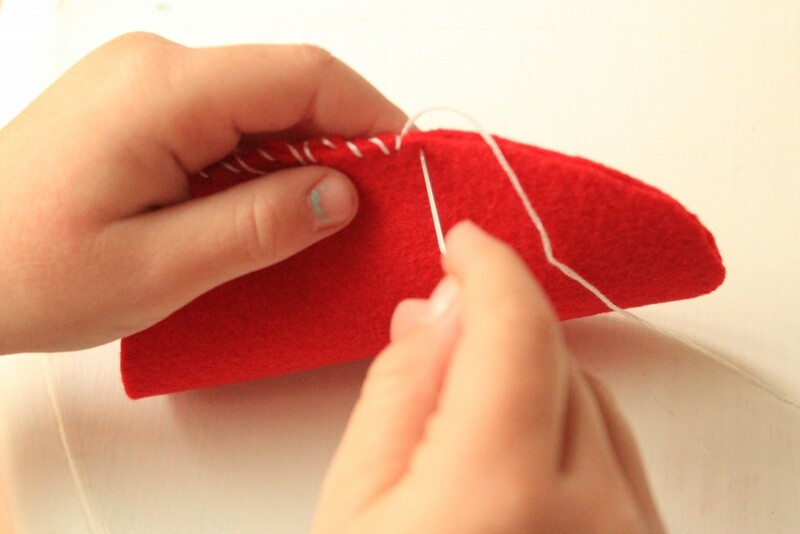 What a great way to teach kids to sew and create a gorgeous ornament that will last for years.